13 March - 3 November. 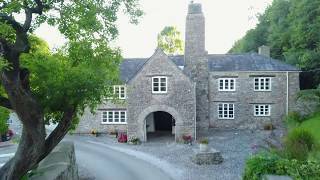 The entrance to Dornafield leads into the charming old courtyard of a 14th-century farmhouse giving a mellow feeling that is complemented by the warm welcome from the Dewhirst family. It is a haven for those seeking a quiet, restful holiday. There are 135 touring pitches with 119 fully serviced on hardstandings (10A Europlug), and 16 reasonably level grass pitches for tents in a walled orchard. At the top of the site are large luxury pitches with all facilities, including cleverly concealed TV connections. There are two super, well maintained woodland adventure play areas. 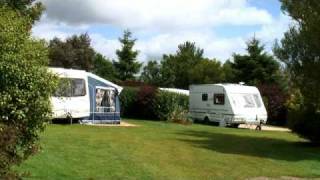 Dornafield is a member of the Caravan Club’s Affiliated Site scheme. The reception, shop, tourist information/ecology room have been sympathetically converted from farm outbuildings, with the games room from the old milking parlour, complete with stalls. The rural situation is delightful. 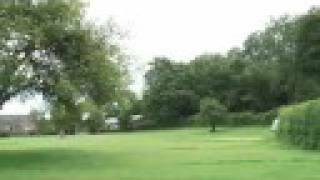 A park that is well worth consideration and a member of the Best of British group. Two excellent, modern, heated toilet blocks. The newer block has underfloor heating and a heat recovery system. Both blocks have facilities for babies and disabled visitors. Laundry rooms. Shop. Gas supplies. All-weather tennis court. 7 acres for dog walking. Games room. Play areas. WiFi (charged). 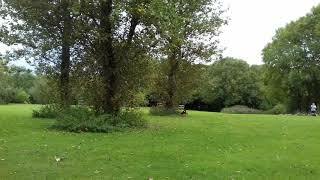 Park is northwest of A381 Newton Abbot-Totnes road. Leave A381 (turning west) at Two Mile Oak Inn opposite garage (site signed), after half a mile turn left at crossroads. Entrance is shortly on the right.